Commander Eric Tufnell RN (1888-1979). Watercolour signed Eric Tufnell and annotated HMS LOCH QUOICH, Bahrein, Persian Gulf 1948. 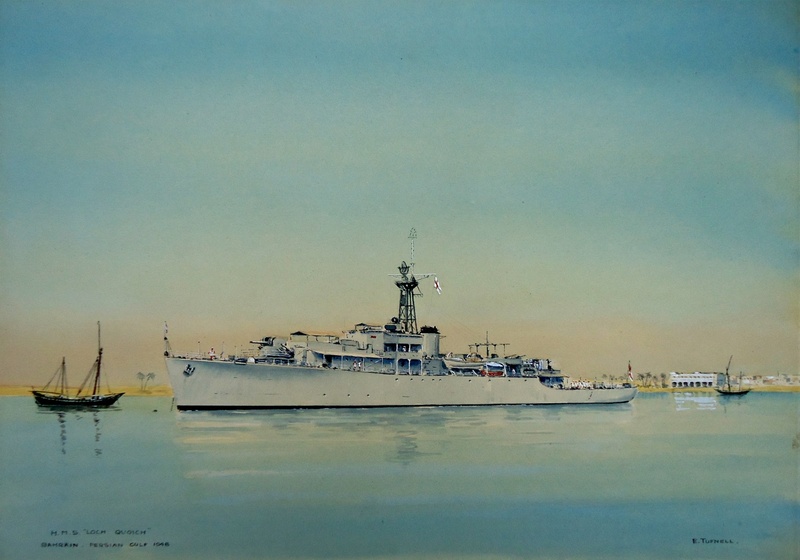 Provenance: from the estate of the late Rear Admiral Templeton-Cotill CB who served in LOCH QUOICH in 1948 and commissioned Eric Tufnell to paint the frigate.